When buying a new home, there are many factors to consider including location, price, and size. If you’re open to putting in the extra work, a fixer-upper is a viable path to consider. Renovation is a great option if you’re hoping to save money and create a home perfectly tailored to suit your needs and personal design tastes. Of course, renovation opens a new set of issues that must be tackled first. Generally, an inspector will arrive with an extensive checklist looking for cracks in the foundation, poorly wired electrical, plumbing leaks, and more. But a few things that may not – but should – be on that list are environmental toxins like lead, asbestos, mold, radon and carbon monoxide. You’ve probably heard of these substances. You may even know they can cause health issues, but would you recognize if asbestos is in the flooring you are tearing up, or how to remove lead paint if it is missed during the inspection? As the homebuyer, it’s not only important to be independent of an inspector’s accuracy, but to also prepare for potential surprises during the renovation process. The air inside your house is two to five times more polluted than the air outside due to various toxins in the home environment. Similar to a leaking roof, finding toxins isn’t necessarily a deal breaker. 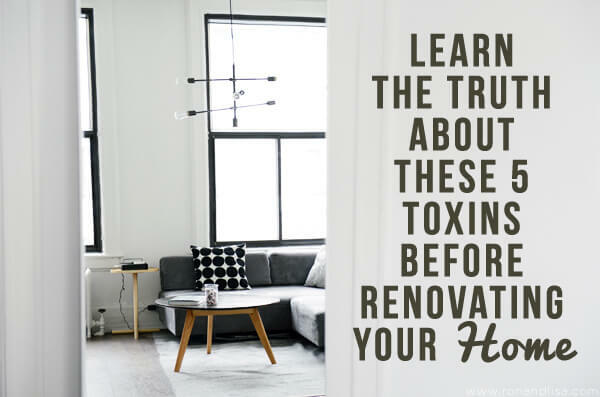 However, it is important to know how they can affect your health, how to remediate those toxins, and the cost and time commitments you’ll need to make; with National Home Improvement Month this May, it’s a great excuse to get started. TIP: Find an inspector independent of the realtor and be sure that person has an expertise in the age range of homes you’re looking at. Get references and actually talk to them. Do the walk through with your inspector. Overview: Lead-based paint was used in homes until 1978, when it was banned nationally. harmful for children. It can also cause digestive problems and joint pain in adults. Where can it be found: Lead is most commonly found in paint. 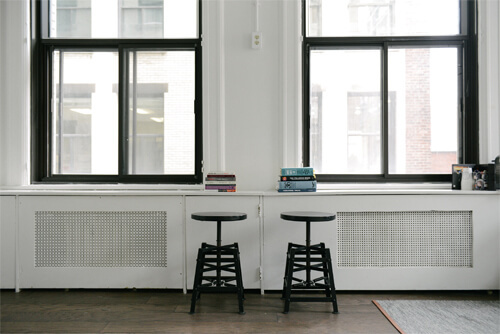 It is especially dangerous in areas that frequently chip, like window sills and door frames. It can also be found in drinking water. What to do if it’s found: It is recommended to hire a lead abatement contractor, but if you are determined to do it yourself, wet paint and strip it rather than sand it to avoid lead dust becoming airborne. TIP: Buy a high-quality, filtered respirator mask. There is a difference between dust and paint masks, the latter of which are less effective because they only block fumes. Overview: Asbestos is a natural mineral that was used in many homes built before the 1980s due to its heat and fire-resistant properties. It is a fibrous material that was added to dozens of construction products. Asbestos is hard to detect with the naked eye. Where can it be found: Adhesives, tile flooring, insulation, paint, roofing, and more. Health concerns: Asbestos is a known carcinogen. Breathing in even a tiny amount can cause health issues like asbestosis, mesothelioma cancer, and lung cancer. What to do if it’s found: Do not cut, sand or disturb material containing asbestos. If it is already damaged, or will need to be removed during renovation, do not touch it and call a professional asbestos abatement contractor. Do not sweep or vacuum asbestos dust. Materials containing asbestos are safe to leave alone if they are in good condition and will not be disturbed, but be aware of the chances of damage. TIP: Order environmental tests on top of the home inspection. Inspectors will note visible concerns, but they might not find asbestos undisturbed in tile adhesive, for example. It is possible to negotiate environmental remediation as part of the buyer-seller contract. Overview: Mold is a fungus that grows in warm, damp conditions and spreads through airborne spores. Health concerns: Mold can cause or worsen respiratory illnesses like asthma and allergies. Where can it be found: Mold is found both indoors and outdoors, most commonly in humid areas like the bathroom. Beware of formerly flooded basements and areas with leaky pipes. What to do if it’s found: You may want to call a professional to remove the mold, but that isn’t necessary if the area is under ten square feet. Clean the area with soapy water, but be sure to wear gloves and a mask, open the windows for ventilation and never mix bleach and ammonia. TIP: Use a dehumidifier in areas that are highly susceptible to mold growth. Overview: Radon is a naturally occurring radioactive gas caused by the natural decay of uranium. Though it cannot be seen, smelled or tasted, radon is found in trace amounts in all homes, new and old. Health concerns: Radon is the second leading cause of lung cancer, causing about 21,000 deaths per year. Where can it be found: Because it is naturally occurring, radon often originates in the soil a home is built on and seeps into the home through cracks and holes in the foundation. Levels will often be more concentrated in the basement. What to do if it’s found: Radon test kits can be purchased and completed fairly quickly, easily and inexpensively. If levels are 4pCi/L or higher, speak with a professional about installing a ventilation system or employing another reduction method. TIP: Major renovations, especially in the basement, can change radon levels so always retest after work is completed. Overview: Carbon monoxide (CO) is a gas created while burning fuel. Health concerns: Carbon monoxide poisoning can be caused by a leak or poor ventilation, and can produce symptoms like dizziness, nausea, and confusion. Those suffering from carbon monoxide poisoning may also pass out or die if they inhale too much. Where can it be found: CO can build up in homes that use a gas range, furnace or fireplace. What to do if it’s found: Go to the hospital if you exhibit symptoms of carbon monoxide poisoning. You may want to check a fixer-upper’s ventilation system and consider replacing the furnace unit if it is old. heater, chimney, and gas appliances serviced every year. **All cost estimates come from the Home Advisor Environmental Safety Cost Guides. As the Community Outreach Director at Mesothelioma Cancer Alliance, guest blogger, Emily Walsh, builds awareness about asbestos and mesothelioma; an aggressive and rare cancer that affects about 3,000 people in the U.S. each year. MCA is an organizationdedicated to providing reliable and current information and resources for those with mesothelioma and their loved ones.